Corey Senese (left) teaches new students how to stand on a surfboard to protect their safety. 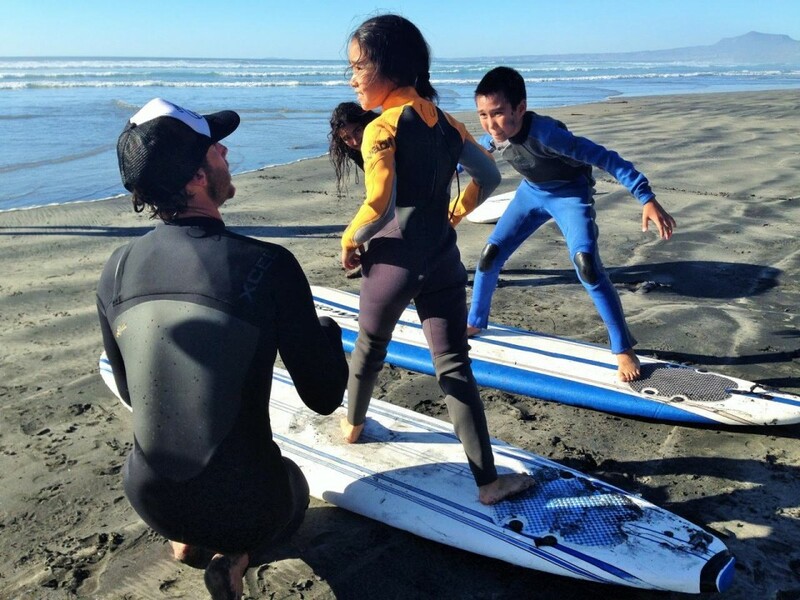 CoreysWave provides surfing lessons for YMCA Youth Programs. 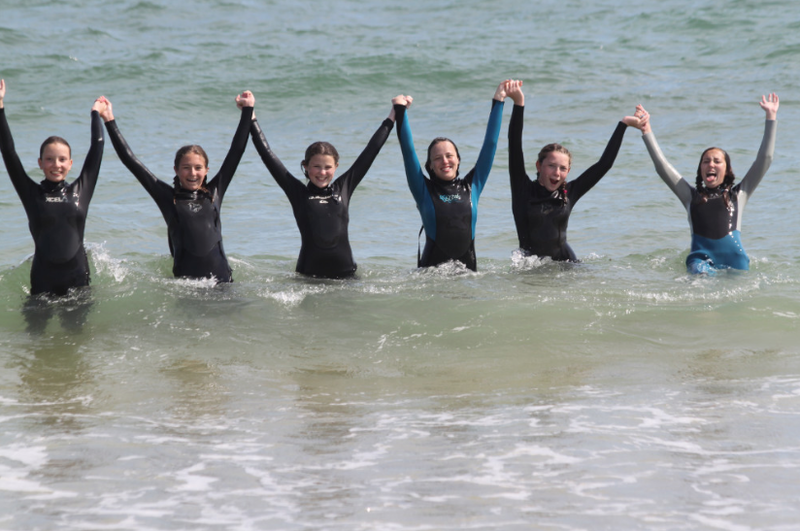 The YMCA East Hampton RECenter announces its newest partnership with CoreysWave Professional Surf Instruction, an organization based in Montauk, NY specializing in surf lessons, stand-up paddling and guided surf trips to global destinations. CoreysWave is helping to expand the YMCA East Hampton RECenter’s programs to introduce surfing instruction to the community’s youth. On Sunday, June 28, CoreysWave will hold an artist showcase titled “Community Collaboration: Montauk 2015.” Approximately 15 local artists will display their work at the Montauk Beach House. 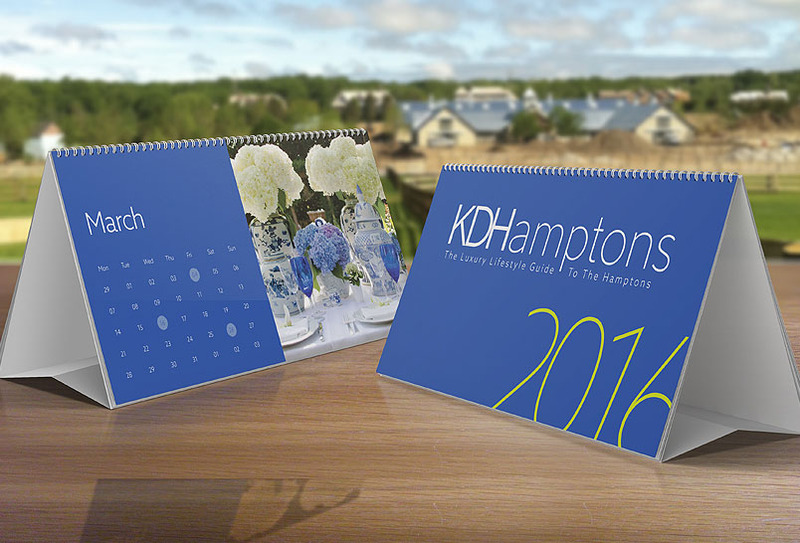 A portion of the proceeds from food, drink and artwork sales will go towards programming at the YMCA East Hampton RECenter as well as Waves for Water charity. Live music will be provided by Dan Bailey Tribe. People can RSVP by e-mailing rsvp@thembh.com. CoreysWave will be providing $10,000 in services to the youth involved in both the Sports/Swim Camp program and the Leaders Club this summer. The Sports/Swim Camp program will include three field trips to surf with CoreysWave. CoreysWave has also joined the philanthropic team to help the YMCA raise funds for the Leaders & Lemonade campaign organized by the Y’s Leaders Club. 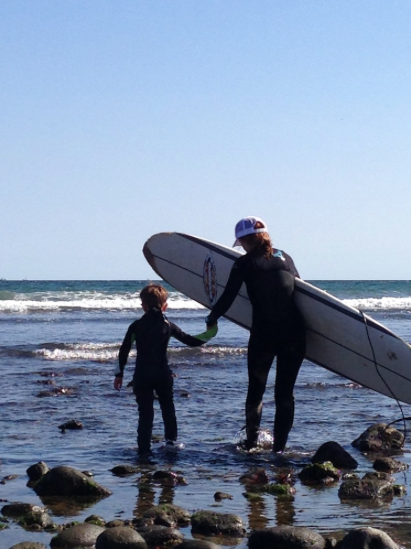 Taking children surfing at no cost is part of the “Wave Share” program provided by CoreysWave. 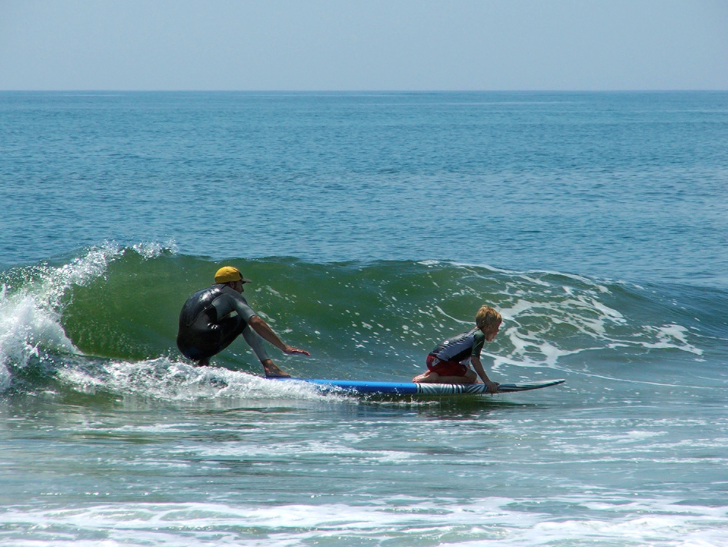 A CoreysWave surf instructor teaches a young boy how to stand on the surfboard, first practicing on land. The YMCA is a leader in providing programs that strengthen the mind, body and spirit connection. Long Islanders of all ages and fitness levels learn to live their healthiest lives inside the YMCA’s state-of-the-art facilities in Brookhaven, East Hampton, Glen Cove, Bay Shore, Huntington and Patchogue. The YMCA of Long Island is a cause-driven nonprofit organization that works to strengthen communities through programs that focus on youth development, healthy living and social responsibility. 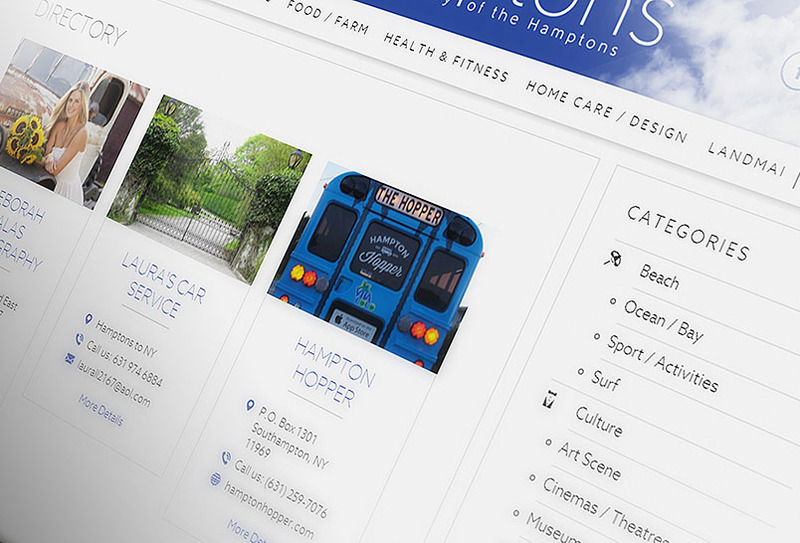 For information and locations, visit www.ymcali.org, or call the East Hampton YMCA at (631) 329-6884. 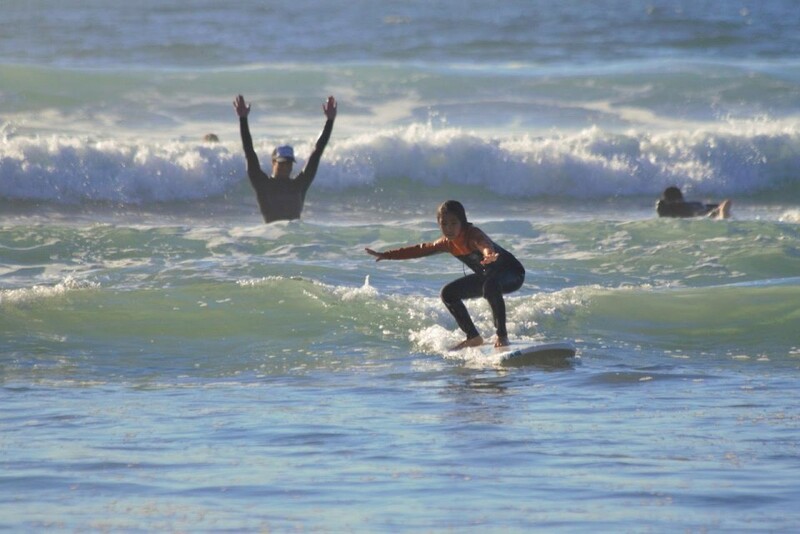 Corey Senese (left), owner of CoreysWave, cheers on as a young surfer catches one of her first waves.